Today I’m pleased to bring you another guest post from author Hank Quense, whose kids’ writing workshops and fiction and non-fiction books are a delightful way to encourage reading and writing. 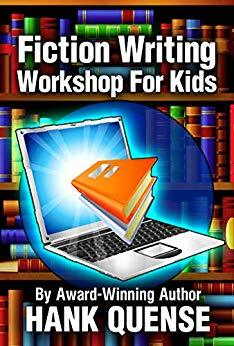 His latest – Fiction Writing Workshops for Kids – is an interactive ebook with embedded videos. Hank uses the videos to coach kids (4th to 7th graders) through the creation of a short story. 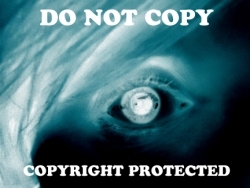 The videos involve the development of the characters, plots, setting and scenes. Enjoy! Writing a story is a tough job, especially for a kid. There’s all that stuff about characters and setting they have to remember. And then there’s the plot. How is a kid supposed to figure that one out? I’ve written a number of novels and I’ve had over forty short stories published in magazines, anthologies and web sites. So I know firsthand about these difficulties. Over time and after a lot of false starts, I developed a process that allows me to approach a new story in an organized manner. Once I had this process I found it eliminated many of the dead ends I had previously run into. A few years ago the Valley Middle School in Oakland NJ asked if I would visit the school and talk to their seventh graders. On visits like this, authors usually talk about their books and read scenes from them. I hate reading scenes! I find it boring and I’m sure I bore the audience with my monotonous voice. Instead of torturing the kids this way, I decided to show them how I use my process to create a short story. The slide talk worked like this: I gave them the overall story idea, one that they would want to write. After that, I used a handout with a series of text boxes with questions to have the kids come up with ideas on characters, setting and plot. Finally, I broke the story up into six scenes and showed the kids how to use the text box ideas to write each scene. The talk was wildly successful. Besides the Valley Middle School, I’ve given this talk in libraries and expanded the concept to include two more story ideas. While I love doing this, my talks are geographically limited. To remove this limitation, I used these three talks as the basis of a book. It’s an ebook called Fiction Writing Workshop for Kids. Using the advanced technical capabilities of ebooks, the book has graphics, audio and video clips embedded into it. The videos show the text boxes and coaches the kids on how to use each text box to develop the characters, setting and plot. Each story has a final video clip showing the kids which text boxes to use in each scene. Finally, there is a set of blank worksheets the kids can use to develop stories on their own. The suggested audience for the ebook is 4th to 7th graders. This is not an ordinary ebook: it’s interactive and that presents some problems. Not all e-readers can open the epub and mobi versions of this book. The iPad and iPhone (with the iBooks app installed) and the Nook can deal with the epub version, but Kindle can’t. You can open the epub on a PC computer if the computer has Adobe Digital Edition app installed. You can download this free app here: https://www.adobe.com/solutions/ebook/digital-editions.html. Mac computers have the iBook app pre-installed and will open this type of ebook. The mobi version will only work on the newer Kindle Fire tablets. Other Kindle tablets will not be able to deal with the audio and video clips. The ebook is available on iBooks at https://apple.co/2CJYDjN and Kindle at https://amzn.to/2RnU5Yo. I’ve written a lot of books, but I’m proudest of this one more than any of the others. 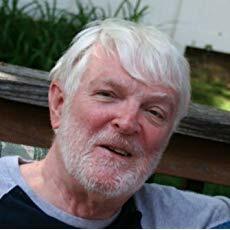 Hank Quense writes humorous and satiric scifi and fantasy stories. He also writes about fiction writing and self-publishing. He has published over 20 books and 50 short stories along with a few dozen articles. He often lectures on fiction writing and publishing and has a series of guides covering the basics on each subject. For more information, visit him online. You are, as always, most welcome – and thank YOU for the great work you do to help get (and keep) kids writing!